As an ambassador of many frontline health and beauty products, I was enculturated with the business, science, art, and language of the personal care industry. In 2008, I created a pure hair and body oil in my home office due to the lack of products in the market that worked. The need for a product that evened out the amount of oil and moisture in my hair and skin was the inception of the Oilmi vision. 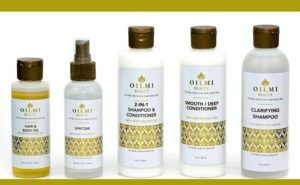 The lack of quality products that worked has created a high demand for products like Oilmi Beauty products in the hair care market. Having few choices available for both stylists and consumers, I realized the need for a brand that works to the benefit of both. I became committed to creating a complete and consistent line rather than forcing the consumer to pick and choose a combination of different brands that offer what Oilmi products provide. Take a look at our OILMI Beauty products now. You will appreciate the quality.